Hope your Sunday is treating you well. Sunday’s are usually more on the relaxing side for me, but not today … had to go into work to make sure things are done for both stores before going on vacation as I head for Shreveport to the Stampin’ Up! OnStage event. 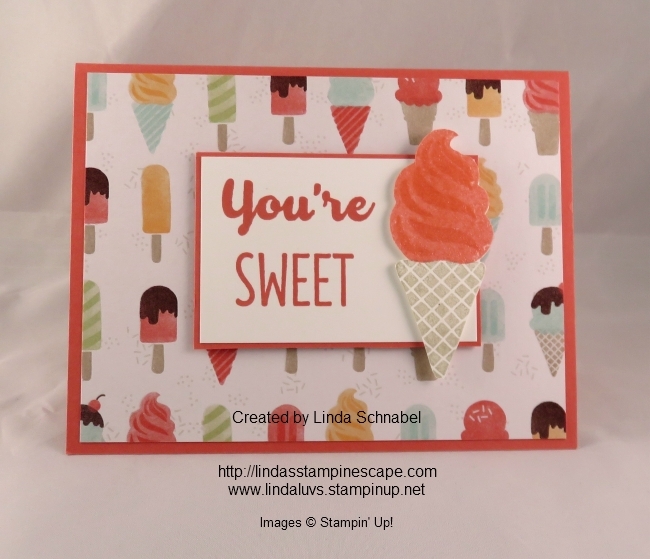 I’m using the “Cool Treats” stamp set from the Cool Treat bundle, and the coordinating “Tasty Treats” Specialty Designer Series paper. You can see by the angle that the treats are embossed, that gives you the raised feel and the glossy finish. The inside is decorated with a strip of the the specialty paper … just for the fun of it! I heat embossed the cone that I cut out so it had the same gloss as the specialty paper. 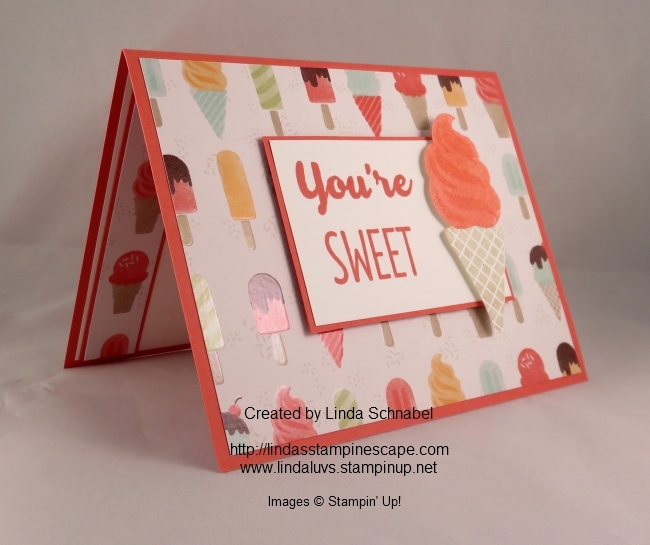 The greeting was done in Watermelon Wonder and I used the coordinating mat and cardstock to compliment the project. 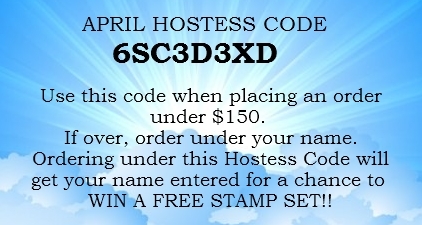 A quick and easy that card that is sure to bring a smile to anyone’s face.